I have been inexcusably absent the last couple of weeks. 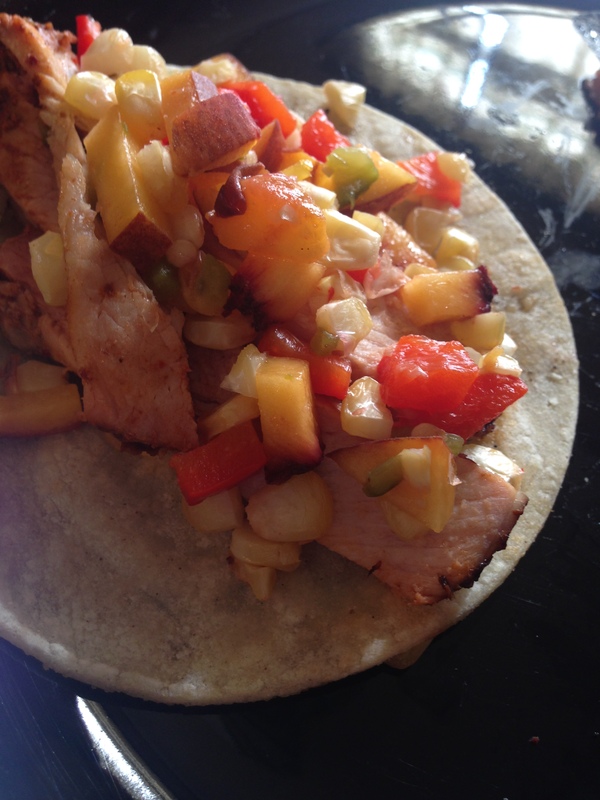 But, I’m back today – and, it’s Taco Tuesday! I reference taco seasoning in a lot of my recipes. Sometimes, I’ll be honest, I grab a packet at the store – especially if I don’t have any mixed up and the brand with a box top coupon is on sale. Really though, I prefer to mix up my own. 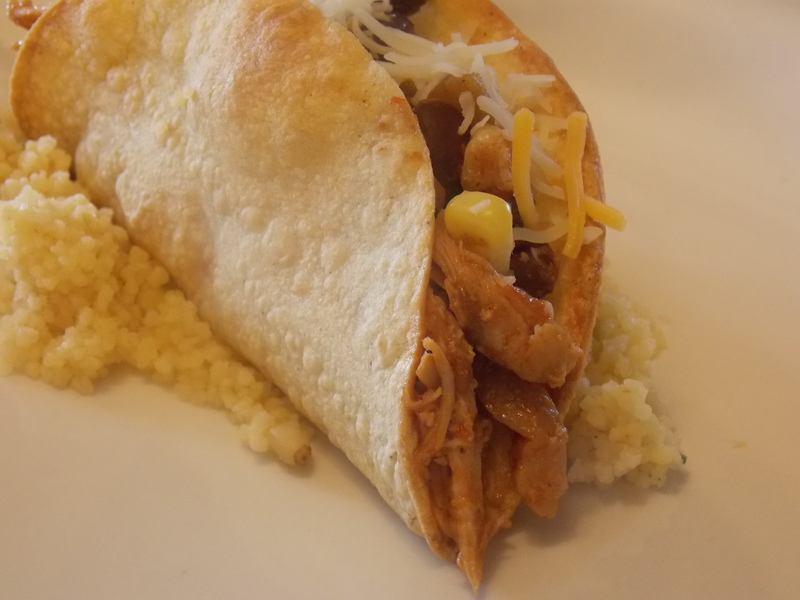 It’s simple and stores well and you can use it to liven up just about any southwestern dish. What I like best is that it allows me to control the amount of salt and eliminate the sugar (yes, commercial mixes typically have sugar in them, who knew?). It couldn’t be easier to mix this up. Just measure out your dried spices, toss them in a container and stir to combine. Then use as little or as much as you want to season up a pan full of meat for tacos. I like to add my seasoning as the meat is cooking. 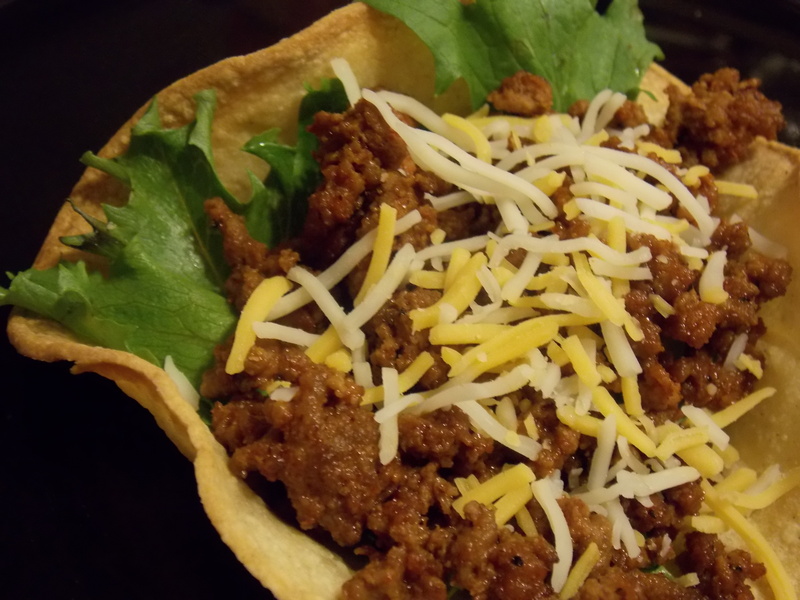 Serve with a tortilla shell (these are crispy corn tortilla bowls), some lettuce and cheese and whatever else your family likes on tacos..
Place all spices in a container and stir to combing. Store, tightly sealed, for up to 6 months. The weather has been getting progressively cooler here. And that means soup season is upon us. Also, somehow, my schedule seems to be filling up, which means that I use my crock pot more often. 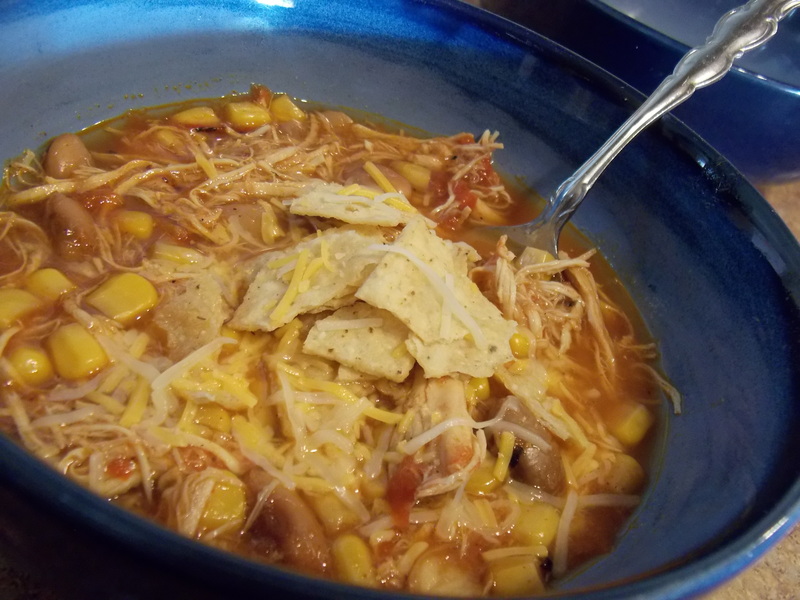 This recipe is adapted from my grandma’s taco soup. 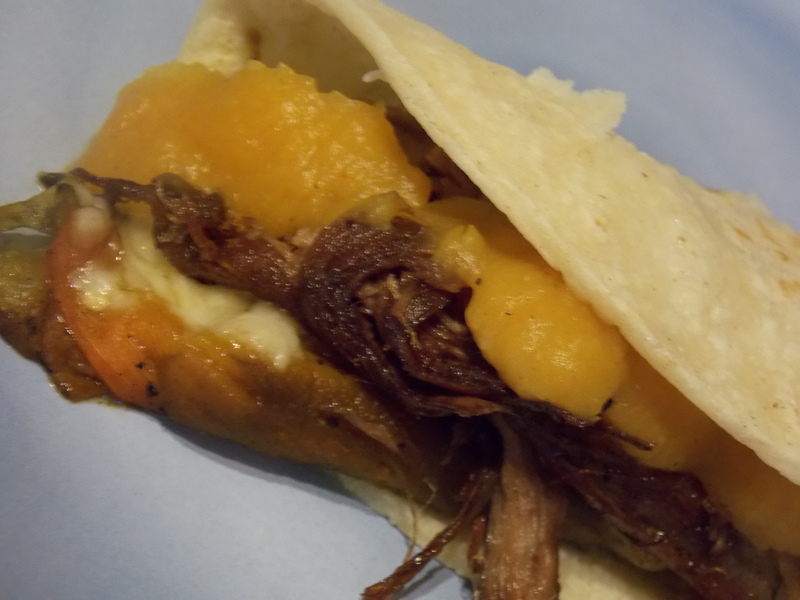 It’s easy, feeds a crowd inexpensively, and just plain tastes good. If chicken isn’t your thing, feel free to use hamburger. No crock pot? You can easily make this recipe on the stove top, but in that case I’d definitely used canned beans instead of dry. 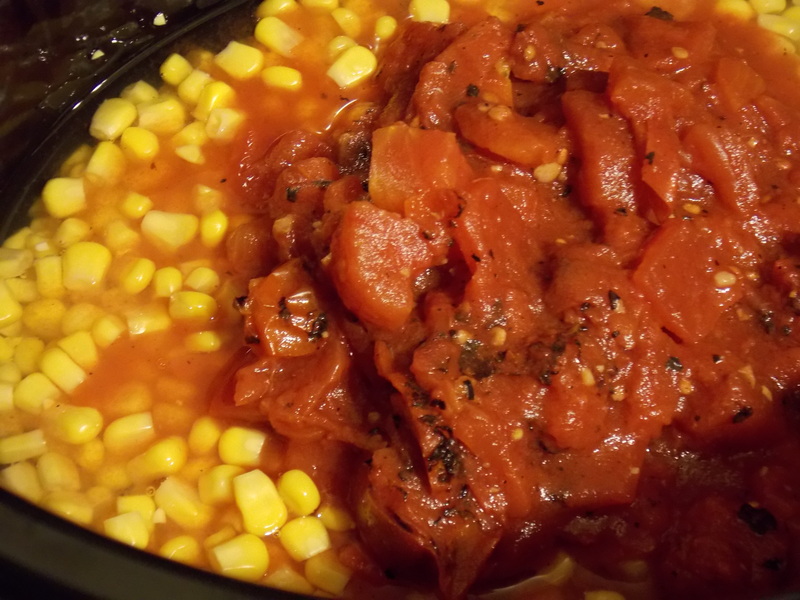 To start, add a can of fire roasted diced tomatoes and a can of corn kernels into your crock. 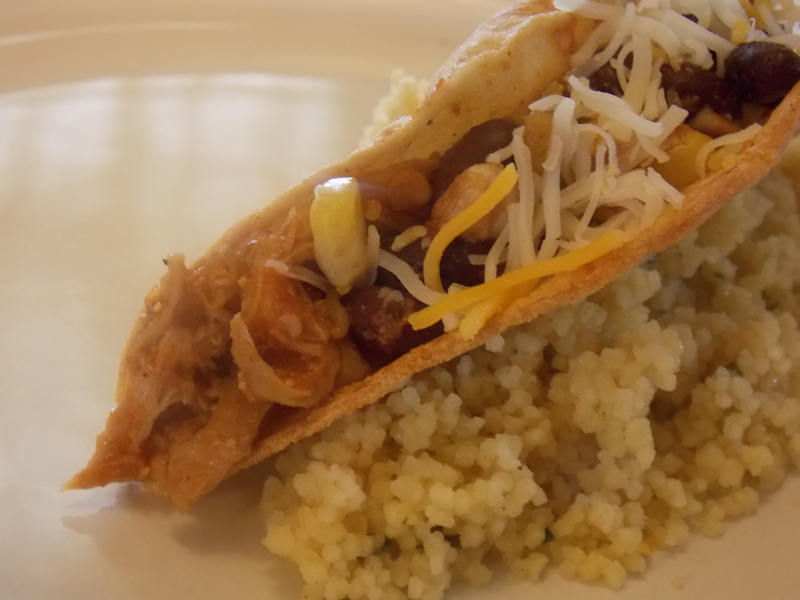 Then add dry or canned pinto beans and chicken breasts (I used whole, frozen). Also stir in a package of low sodium taco seasoning (or a tablespoon of your favorite homemade taco seasoning) and enough water to cover everything well. Turn your crock pot on low and walk away for 6-8 hours. Just before serving, remove the chicken and shred or dice it. 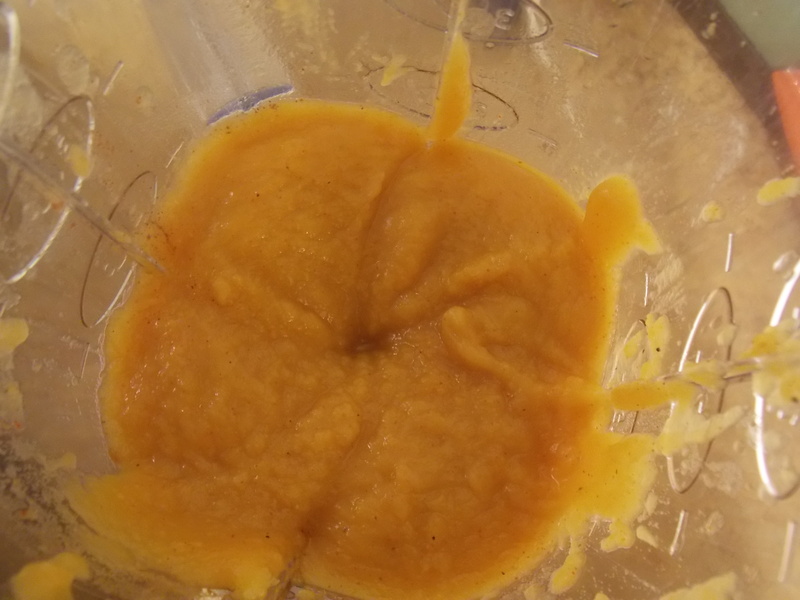 Put it back in the soup, give it a stir and serve with crushed tortilla chips and shredded cheese. Yes, it really is that simple and so delicious. Place first 5 ingredients in a crock pot. Stir. Add enough water to cover. Cook on low for 6-8 hours or on high 4-6 hours. 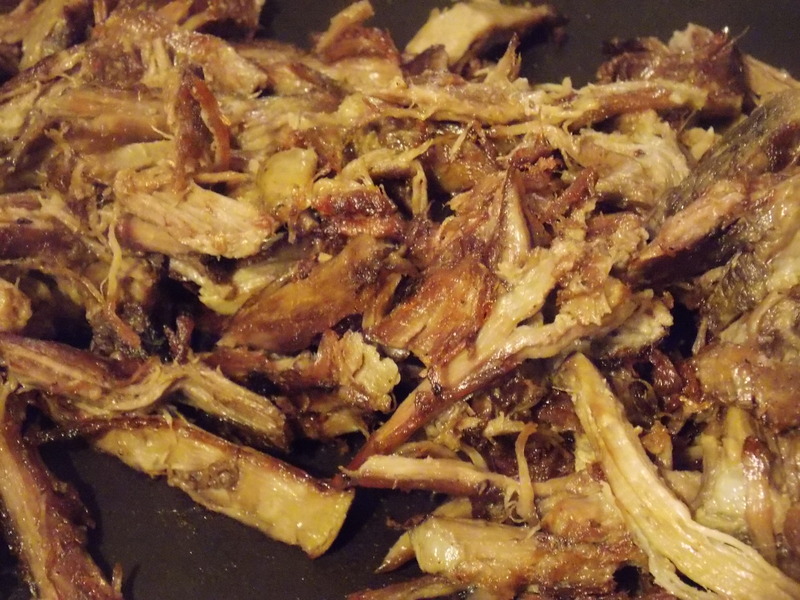 Before serving, remove chicken from crock pot and dice or shred. Return to crock. Stir.